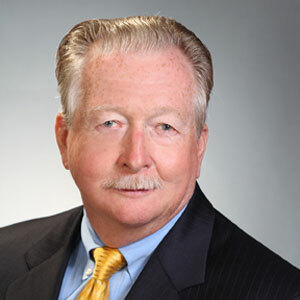 Jeremiah “Jere” O’Sullivan assists clients with audits and audit appeals in federal and state court. He is a 37-year veteran of the Internal Revenue Service (IRS), where he spent most of his career working as a senior appeals officer. Through his in-depth knowledge of the IRS and appeals procedures, Jere is able to help clients navigate the complex appeals process. As a professor and tax instructor, Jere has taught hundreds of students, including some who are now responsible for conducting audits and appeals for the IRS. He has taught as an adjunct professor in the Suffolk University Master of Science in Taxation program, IRS practice and procedure at Boston University School of Law Graduate Tax Program (LLM), and IRS employees on subjects as diverse as auditing techniques, employment, corporate and international taxation, tax haven issues, rules of evidence, and section 482 issues for international operating entities. Assisting taxpayers with evaluating their appeal options, including analyzing and assessing taxpayer’s financial situations and tax liability. Representing taxpayers with a full range of appeals before the IRS and Massachusetts Department of Revenue (DOR), including rulings on certain issues such as penalties to appealing entire tax liability decisions. Skilled negotiator with in-depth knowledge of the appeals process and procedures which are critical to reaching settlements. Admitted to practice before the U.S. Tax Court, U.S. District Court for the District of Massachusetts and the First Circuit Court of Appeals. Audits and examination, including calculation of correct tax liability, and minimizing penalties and interest. Before going into private practice, Jere spent 37 years working at the Internal Revenue Service, 12 years as an adjunct professor teaching tax, law and accounting. Revenue agent, conducting and supervising audits of individuals, small and large businesses, and international operating business entities. Appeals Officer with the Boston Office of IRS Appeals. Large Case Team Leader for IRS audit appeals for the IRS Office of Appeals in New England supervising the administrative appeals process of large business administrative tax appeals in the New England region for the IRS. Senior Appeals Officer for New England Region of IRS Appeals. Adjunct Professor of Law and Accounting at the Suffolk University Master of Science in Taxation program. Adjunct Professor of Law in the Boston University School of Law Graduate Tax Program teaching LL.M. in Taxation candidates IRS Practice and Procedure.